As the design lead, I was in charge of kicking off the initial project research. We established three core principles to keep the project on track during this time: “simple, friendly, and intuitive.” These helped us to maintain a consistent and comprehensive personality for the app over the long design/development process. 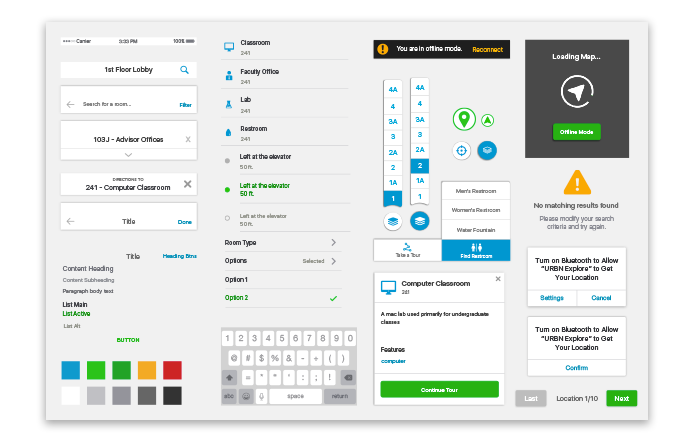 We also built a solid design foundation through competitive research, user personas, interviews with students, and rapid prototyping. Usability testing was absolutely vital to the success of our project. Feedback from testing sessions led to some very tangible improvements, such as the change from a springboard landing page to a map-based one. This eliminated a huge unnecessary step and had a positive impact on the efficiency of our application. 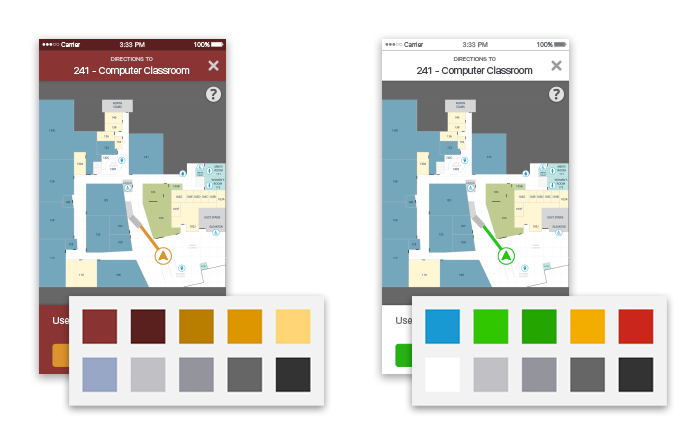 Something as simple as our color scheme is another great example of how user feedback helped to improve the app. Our initial thinking was to utilize the red/grey colors found in the physical URBN center, but early feedback led us to discover that this palette evoked negative emotions in our users. Combined with our three “core principles”, this led us to change course and utilize more friendly blue and green hues. Our style guide grew and matured throughout the entire agile process. We stayed flexible and made continual style changes based on our other design decisions. I learned the importance of intelligent design during this process — creating visual patterns based on their effectiveness, rather than just making things “look pretty”. You can use the map view to switch floors and take a look around the building. This is the default view for our app. 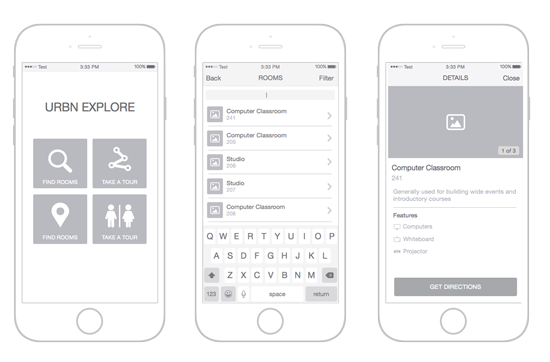 The search functionality allows people to look through different rooms and even filter by room and functionality. Offline mode lets users interact with the map plan out their route before entering the building. 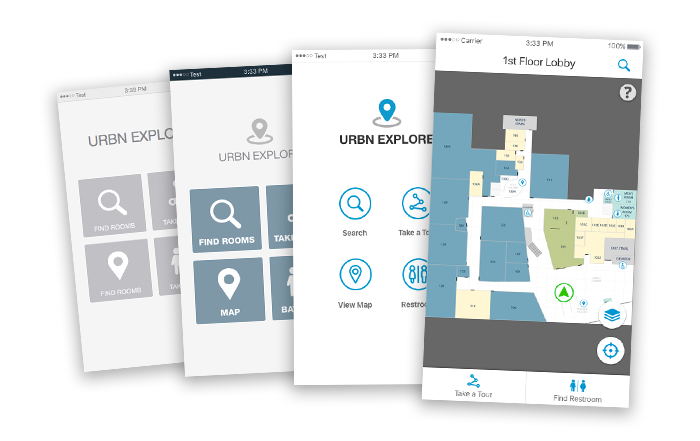 URBN Explore is fully functional and available to help students navigate the URBN Center for the 2016/2017 school year. Our guided tour functionality is also in the process of being adopted by Drexel’s admissions department for use with visiting families. 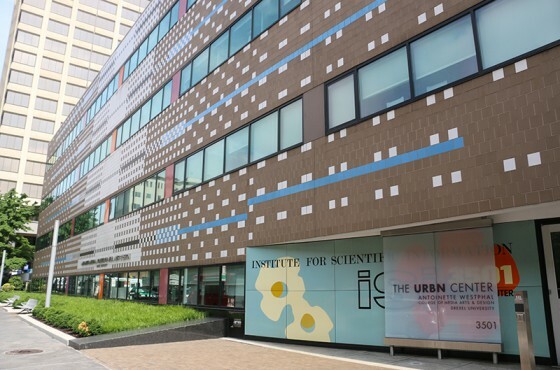 Aside from this, our project remains as a legacy for the building. We left the university with thorough documentation on how to maintain the Estimote beacons used for location data, and hope that future classes can build upon the framework that we left behind.